"PlayStation 4 has no exclusives!" That's the claim I've heard and read all year long. 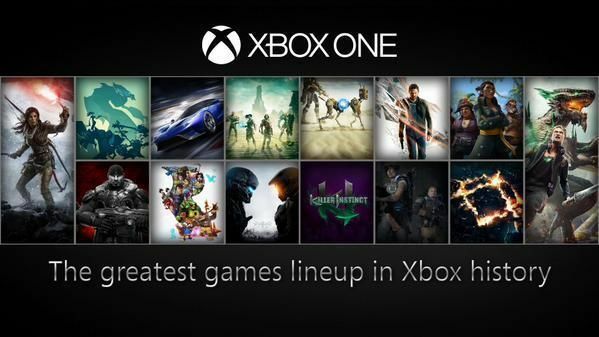 "This is the greatest gaming line-up in Xbox history." That's what Microsoft has touted all year long. Truth be told, though, the playing field is a lot more level than you might think. PlayStation has always had more and better exclusives than Xbox. Sure Xbox will always have Halo, Gears of War and Forza, but before the Xbox One, that was pretty much it. Microsoft tried its hand with the Fable series, Viva Pinata, and Too Human, none of which were massive successes. 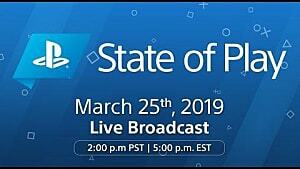 PlayStation, on the other hand has a history of hosting many fantastic exclusives and giving its first-party developers room to breathe and create freely. Last generation, the PS3 played catch-up to the 360 for many years. Sony's third machine ended up outselling the 360, with a year less on the market. And it did so by having the best games. 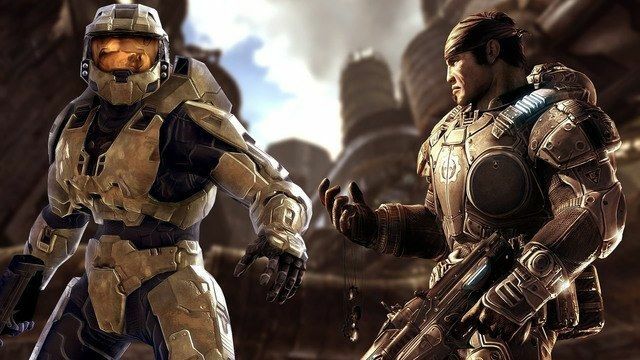 While Xbox 360 owners twiddled their thumbs between Halo and Gears of War experiences, PS3 gamers were having thrilling adventures with Nathan Drake, killing gods with Kratos, becoming a superhero with Cole McGrath, fighting the endless war against the Helghan, and creating worlds with Sackboy. Year in, year out, the PS3 had exclusives every other month. 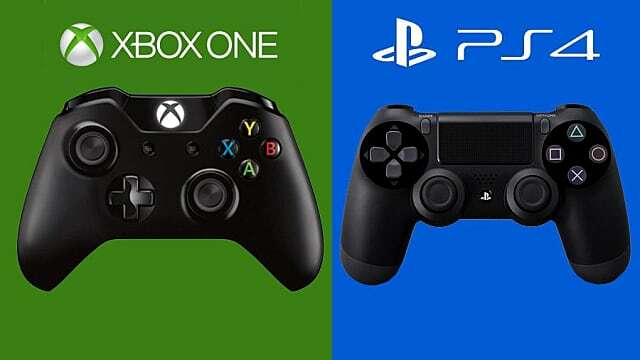 This time around, Microsoft aimed to rival PlayStation in that department by having more exclusives - and more than just shooters. They came out of the gate with Dead Rising 3, Ryse: Son of Rome, Forza Motorsport 5, and some Kinect titles, as well as showing trailers for Halo 5 and Quantum Break. The first two were easily the most exciting of the launch games, because Ryse had a ton of potential and Dead Rising is a great series to have exclusively. PlayStation on the other hand, launched with Knack, Killzone: Shadowfall, and Resogun. Games that were initially intended to be launch titles, like Infamous and DriveClub, didn't make the cut-off. Therefore it's undeniable that the Xbox One had the better launch titles. Microsoft continued its promising start by unveiling Titanfall and Sunset Overdrive - an awesome-looking game by Sony's buddies Insomniac. That was a real blow to Sony. Meanwhile, Titanfall was dubbed the "Call of Duty killer". Then came Halo: The Master Chief Collection, Killer Instinct and more Forza. The Xbox One was really looking like a fantastic platforms for exclusives....so what happened? Titanfall released and was...good. The game was a critical success, but not so much a commercial one, and it didn't bring about the death of Call of Duty like many had predicted. 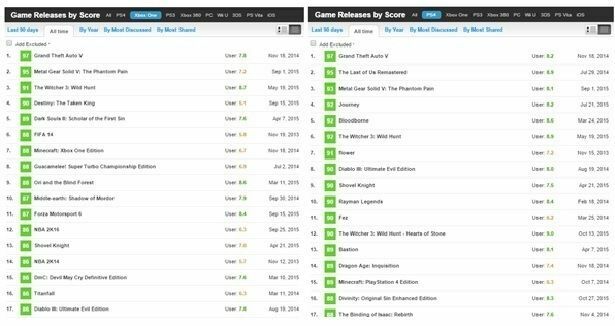 In spite of a year's worth of hype and anticipation, Titanfall faded quicker than a fart in the wind. Sunset Overdrive was next. The difference with Sunset is that it was actually an amazing game. 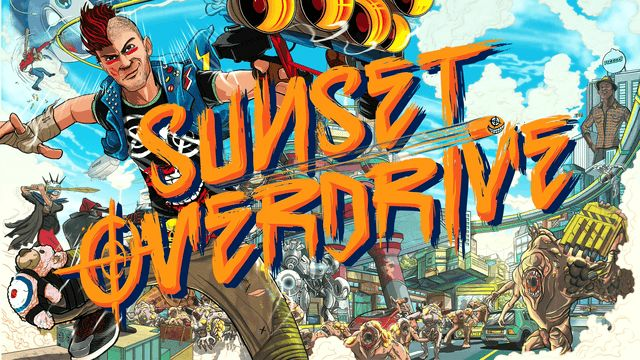 Sunset Overdrive was a fantastic game from Insomniac that oozed charisma and charm, and yet it sold poorly. Poorly enough that Microsoft never announced any numbers for it, and has referred to it when discussing the challenges of new IP. Forza and Halo did well, as expected. However, neither seemed to shift console sales - plus Halo was a muddled mess with big online issues. Meanwhile, on the other side of the tracks, Sony had big success with Infamous: Second Son, The Last of Us: Remastered, MLB: The Show, and DriveClub, despite The Order: 1886 being pushed to 2015. Microsoft was trying, and even producing some great games, but it wasn't getting the desired results. 2015 was supposed to be the year for Microsoft. Sony had "nothing", particularly after Uncharted 4 was delayed. Xbox fans emerged from the crevices of the Internet to poke fun at PS4 owners. I've even heard industry insiders discuss the brevity of Sony's line-up. However, was it really as one-sided as everyone claimed? Nope. 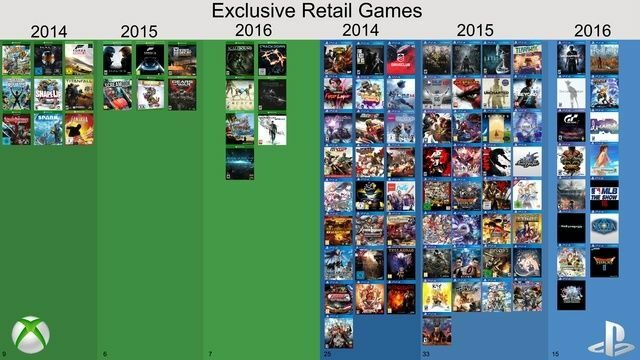 In fact, PlayStation 4 had more exclusives in 2015 than Xbox One. Let's just start with AAA games. Microsoft's "greatest line-up ever" consists of Halo 5: Guardians, Rise of the Tomb Raider, Forza Motorsport 6, Gears of War: Ultimate Edition, and Rare Replay. That's a great line-up, and probably the best Microsoft has ever had (as per the claims). 2015 hasn't been the best year for Sony; no one will argue that. But it hasn't been anywhere near as barren as you may be led to believe. The year started with The Order: 1886, a ridiculously pretty game that was unfortunately more fun to look at than it was to play. Then came Bloodborne -- the spiritual successor to Demon Souls was a surprisingly big hit for Sony and was all the talk when it came out. Bloodborne is a surefire game of the year contender. The next big title to hit Sony's platforms, a game I wouldn't count if I didn't already count Gears of War, was God of War III Remastered. Then came the biggest surprise hit of the year, Until Dawn. A fantastic horror game in the vein of Heavy Rain, Until Dawn shocked many by how well it was written, how beautiful it was, and how much dumb fun it was. Then to round out the year we got Tearaway: Unfolded and Uncharted: The Nathan Drake Collection. So, Xbox One had five exclusive AAA games in 2015, while PS4 had six. Now all in all, quantity is not always as important as quality, and the fact that three of Sony's six were remasters is definitely a factor. For Xbox, Rare Replay and Gears of War: Ultimate Edition outperformed expectations, Halo 5: Guardians has been a hit, Forza always performs, and Rise of the Tomb Raider has been met with critical acclaim, but sold poorly in the wake of Fallout 4. The sales disappointment of Rise of the Tomb Raider is surely a problem, but it's been a great year for Xbox regardless. It outsold the PS4 in the month of October - marking only the second time this year it has done so, and the fourth overall. If we look at smaller titles, PlayStation has had a far better year. 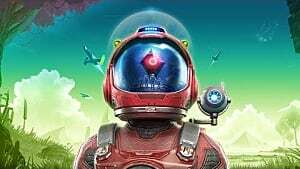 Everybody's Gone to the Rapture, The Vanishing of Ethan Carter, SOMA, Axiom Verge, Journey (Remastered), Volume, Hotline Miami 2, and Grow Home are just some of the games that came to PSN this year. However, one title in particular really captured the hearts of millions in 2015 -- Rocket League. The second vehicular soccer game from Psyonix has been an unprecedented hit, selling over 6 million copies. The game is likely to come to Xbox One in 2016, but it was a Cinderella story on PS4 this year. The only Xbox digital games you heard talked about this year were Ori and the Blind Forest and State of Decay: Year One. 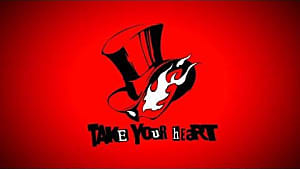 Now I've talked at (great) length about what games came to which platform, yadda yadda yadda, but what's really important and interesting to look at, it the logistics of the exclusives. Ryse: Son of Rome, Dead Rising 3, Sunset Overdrive, Titanfall, and Rise of the Tomb Raider are all third party exclusives, the latter being only a timed exclusive. The only first-party games Microsoft have published are Halo, Forza, Rare Replay, and Gears of War: Remastered. Another amazing game no one is playing. Thanks, Fallout 4. The failure of the third-party games to be commercial hits has probably hurt Microsoft's relationship with third party developers. Take Titanfall for example. 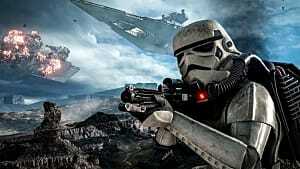 EA and Respawn has both admitted it would have benefited the game being on PS4 - and the sequel will be. Phil Spencer has even said that third party games will be less of a focus going forward, though it's not because Microsoft don't want them. Looking ahead at 2016, Xbox One exclusives Recore, Crackdown 3, Quantum Break and Scalebound are all second and third-party developed games once again. This isn't necessarily a problem, but like I said, should the games continue to underwhelm commercially, developers will be less inclined to work with Microsoft (and Microsoft will be less inclined to work with them). On the other side, every game released by Sony this year, minus Tearaway, was a second-party exclusive. Even the Uncharted Collection was done by independent port house Bluepoint Games (although still published by Sony). This is a less risky business than third-party development because Sony still owns the IP, which is also true for Microsoft with Recore, Scalebound, Quantum Break, and so on. The point is: Microsoft's third-party exclusives are a very short-term solution. 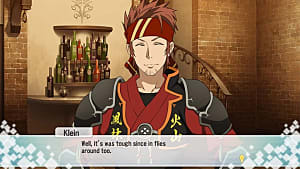 The company has not built any new series, though it's not for lack of trying. There won't be a Ryse 2, and a Sunset Overdrive 2 or Dead Rising 4 is unlikely. Titanfall 2 will be multiplatform. Whereas there will probably be a Knack 2 for the PS4, there will certainly be sequels to Infamous: Second Son, Bloodborne, Until Dawn, and even The Order: 1886. Already this generation, Sony has created 3, maybe 4, new exclusive series. Part of the problem is Microsoft's first-party studios. Microsoft owns 343 Industries, The Coalition, Lionhead Studios, and Turn 10 -- all of whom are confined to making Halo, Gears of War, Fable, and Forza for eternity. That's four main studios, all tied to making the same four games over and over; it's creatively stifling and redundant. Imagine if Sony had gone to Naughty Dog and demanded it work on Crash Bandicoot forever - without that creative freedom, we wouldn't have gotten get Jak & Daxter, Uncharted, or The Last of Us. Then Microsoft also has Rare, BigPark Studios, Mojang, and a litany of small studios that work on tablet and Kinect stuff. Rare is working on Sea of Thieves, a fun-looking game with tons of potential. BigPark is completely in the dark, and Mojang is doing its Minecraft thing. So we kind of know what every single Microsoft first-party developer is working on, and it's exactly what you'd expect. This is why Microsoft has gone to third-parties like Armature, Respawn, Insomniac and Crystal Dynamics to get exclusive games. The Xbox needs more variety. Sony has no such problem. Of Sony's first-party developers, we know we are getting Uncharted 4 from Naughty Dog, Dreams from Media Molecule, Gran Turismo Sport from Polyphony Digital, Horizon Zero Dawn from Guerilla Games and Rigs from Guerilla Cambridge, Gravity Rush Remastered, Gravity Rush 2, and The Last Guardian from Japan Studio, and Evolution is still working on DriveClub. Four of those are new IPs. The rest of the first-party studios are shrouded in mystery -- Sony Bend, Sucker Punch, Sony San Diego, Sony Santa Monica, North West Studio and Sony London. Sony Santa Monica is almost certainly working on a new God of War, but it also helps with development on a ton of smaller games, from The Unfinished Swan to Everybody's Gone to the Rapture. Sony London is working on Virtual Reality. Sucker Punch is well along in the development of something, according to Shuhei Yoshida -- maybe it's another Infamous. Sony San Diego is inevitably making the next instalment in the MLB: The Show series, but it is also helping produce Drawn to Death, Guns Up, and Kill Strain - three other PlayStation exclusives. I broke down Microsoft and Sony's first-party studios to paint a picture of the future. 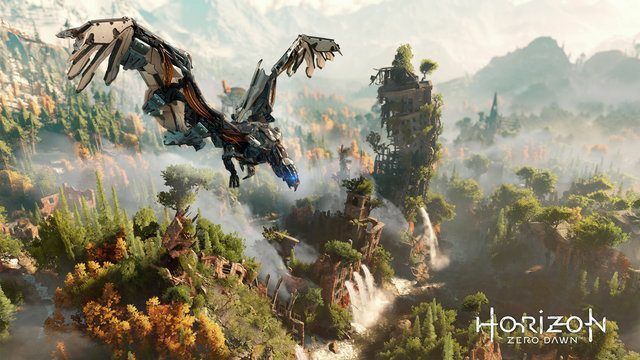 Sony gives its studios a lot of rope to hang themselves with and, as such, we get extremely exciting new IP like Horizon Zero Dawn, surprising sequels like Gravity Rush 2, and a few artistic experiments like Dreams. Simply put, Sony's first-party titles are much more exciting. However, Sony also works with second and third-parties, as mentioned earlier with all of this year's exclusives. Also coming exclusively to the PS4 is Detroit: Become Human from Quantic Dream, Street Fighter V, No Man's Sky, Persona 5, Hellblade, and a lot of third-party VR support. This is different from Microsoft, because those games are all almost guaranteed to sell well - Street Fighter V, No Man's Sky and Persona 5 are no-brainers, and Hellblade and Detroit could definitely do well if marketed properly. I don't want to be a Debbie Downer and spell doom and gloom for the Xbox One, because that most certainly isn't the case. 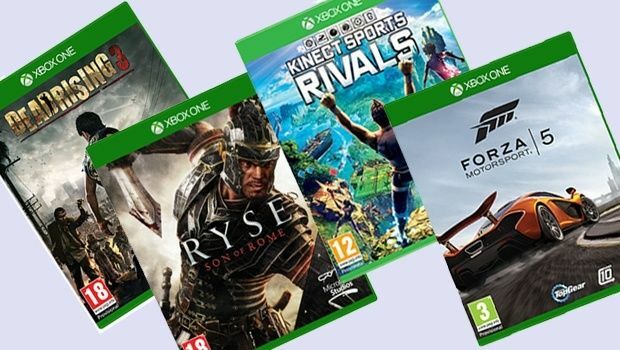 The exclusives games on the Xbox One so far have ranged from good to great, and it's a shame that some of them didn't sell better. 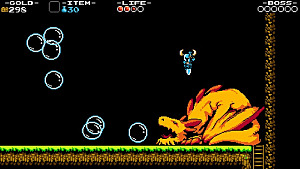 If you are a true gamer, you do not wish ill on Microsoft, Sony, or Nintendo, because competition is good for everyone. 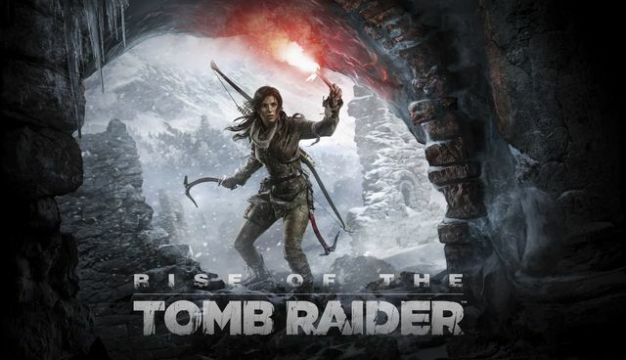 The failure of Rise of the Tomb Raider is bad news for Microsoft; if a known property like Lara Croft cannot sell, then what can be expected to? However it has baffled me since E3 that Square Enix and Microsoft agreed to send it out to die beside Fallout 4, sandwiched between Call of Duty and Star Wars. 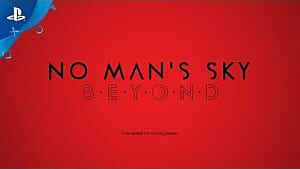 Hopefully the game will find some success when it releases on PS4 next year. Microsoft will always have its staples of Gears of War, Forza and Halo, which may not be the most exciting prospects, but they're a very safe bet. 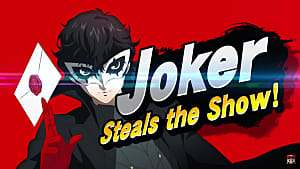 It would be nice to see those developers get more leeway and maybe even develop some new IPs; however, renaming two of them to reflect their respective games kind of suggests they won't get such freedom. This fall has been a big season for Xbox One, and the winning sales of October are a great sign, but the goal should not be to outsell the PS4. If Microsoft provides excellent games that can only be played on Xbox One, then gamers will come. 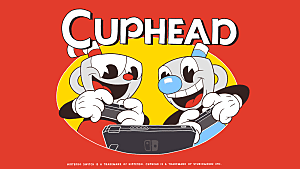 2016 is looking exciting for the green brand, with Gears 4, Crackdown 3, Sea of Thieves, Recore, Quantum Break, and Scalebound, not to mention a myriad of fantastic digital games like Below, Cuphead and Inside. Microsoft could benefit from re-organizing a few internal teams, most of which were working on Kinect, and setting them off to work on new IP. They should follow Sony's example and allow established studios (like Naughty Dog and Guerilla) to stretch their wings and try new things. The Xbox One cannot afford another Ryse, Sunset Overdrive, or Titanfall, it needs new first-party IPs that can be established into series. Right now, Microsoft is sitting pretty with exclusives but the past two years were not great for Xbox One, and going forward it could serve the company well to take a page out of the competition's playbook. I have to agree with the author, that's one of the bigger reasons I went to PlayStation. I played the crap out of the 360 but the Xbox One does not offer the same fan service that PlayStation does. I own both consoles, so believe me when I say I want to get my money's worth out of the 300 dollar console. So far the only thing that has peaked my interest has been The Rise of the Tomb Raider. Quite honestly it is the only game I have played at length on the Xbox One and I haven't even beat it yet. I think exclusive are very important to a console's selling point. Depending on the franchises, the experiences, and the stories. I don't see there anything being wrong with a platform having exclusives. It's business, and it works well for them, especially PlayStation. Exclusives are bad for everyone. It's a real shame that "having more exclusives" is some kind of bragging point. "Exclusives" should only ever come down to hardware constraints, like a game made 100% for the kinect, won't work without a kinect, a game with complex control schemes needing mouse and keyboard like RTS's are another okay example. An exclusive purely for monetary gain to one company hurts everyone. Microsoft could have my money for Halo, but they won't give it to me on PC, so they don't get my money. I'm not going to buy a console just to play the remake of FF7. They give it to me on my preferred platform? Sure, have my money. I agree... and as someone who is heavily invested in Halo and Uncharted... if I could get them on my PC, I would. It's only natural that PS4 would have more exclusives. Xbox is owned by Microsoft, which is deeply entrenched in the PC market for both games and software, so of course there's going to be a lot of overlap and non-exclusivity. In fact, every time MS releases a game that's Xbox only, it comes across as a massive 'screw you' to the PC community. Only because Microsoft have been saying they are really pushing the PC as a platform, and are bringing a new focus to it for gaming. During the 360, or Original Xbox, no one really cared as much.